Looking for Full-Service Carpet Repair? 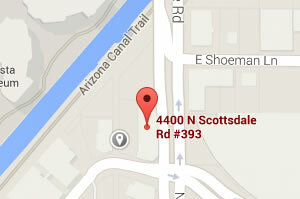 When you need fast, effective carpet repair in Chandler, trust the experts with the magic touch. At Magic Touch Carpet Repair we’ve made it our business to provide the most thorough carpet services available. Professional carpet repair can have your carpet looking like new, erasing years of wear and grime. If you think that you need to replace your entire carpet, that may not be the case! Pairing our quality repairs with professional cleaning can bring your carpet back to life, leaving you with floors you can be proud of. We’re able to handle repairs for everything from perfectly square rooms to complicated carpet transitions! Carpet Stain Removal – Whether you’ve had a wine stain for ages, or have a brand new spill you’re having trouble getting rid of, we can help. Our technicians are thoroughly trained in carpet stain removal, and have the best equipment available. They’re even able to handle emergency water removal and drying! Carpet Stretching – There are many reasons your carpet might need restreching. Improper cleaning, improper installation, and age are just some of the reasons your carpet may become loose and lumpy. Our professional carpet stretching in Chandler is just what you need for a sharp, tight fitting carpet that looks great and doesn’t bunch up in odd places. Carpet Patching – Sometimes carpets can split, and stains may be so set into a carpet that stain removal is no longer an option. In these instances, carpet patching or carpet seam repair by our professional carpet technicians is likely a better fit. We can repair your carpet so that it properly matches, and you’ll barely be able to tell any work has been done at all! Pet Damage – Pets are a great addition to the family, but they can damage your carpet. Along with urine and other stains, they can also tear holes in your carpet. Fortunately, we’re able to repair carpet pet damage for you in most situations. Our experienced technicians in Chandler will make your carpet look like new again!